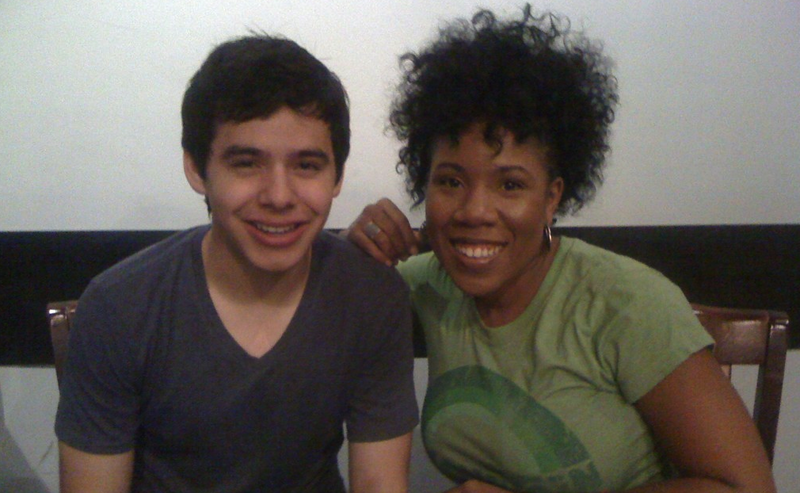 So earlier this week, someone posted this twitpic of my favorite idol David Archuleta and my second favorite idol Melinda Doolittle together (thanks, Burkey!). To say it gave me goosebumps is an understatement. First of all, that David would assert himself the way he did and outright tweet her an invitation to coffee while he was in Nashville was all kinds of bold (Aw, our David is growing up, coming out of his shell, asserting himself, etc.). Especially considering that he wasn’t even following her on twitter (and to which he promptly did after their get-together). Was it just a meeting of former Idol alumni hanging out or the beginning of a beautiful musical friendship of two powerhouse vocals? Either way, I got mad super excited and started speculating about possible duets. Wouldn’t they sound awesome singing a classic duet song like Marvin Gaye and Tammi Terrell’s “Ain’t Nothing Like the Real Thing” or maybe a more contemporary duet like Jason Mraz and Colbie Caillat’s “Lucky”? Imagine how they would embellish and improvise on the latter! So, I got to thinking: no wonder I’m beyond bored with American Idol this season! It isn’t even the start of different kind of reality talent show, like The Voice, which I would have missed if David hadn’t given it a shout out on his twitter. Even as strong as the singers are on The Voice, none of them have yet to showcase the magic that I found with David or the stylistic precision that Melinda consistently demonstrates. Still, the new show was a return to the “glory notes” days of Idol’s humble beginnings. And that’s when it dawned on me: American Idol surely lost its way when 1.) Melinda Doolittle, the best vocal contestant her season, didn’t win and 2.) 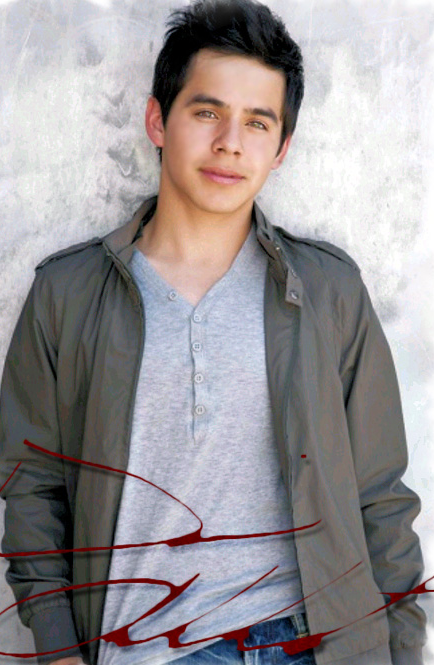 David Archuleta, clearly the best vocal contestant his season, didn’t win either just one year later. Also, in my heart of hearts, I believe that’s why Idol has suffered with its credibility ever since. Both Melinda and David were consistently criticized for being “too good.” And that’s all I have to say about that. When a contestant can’t win because they are perceived as “too good,” then the show and its viewers have proclaimed what we’ve all known all along: the show is about mediocrity. And more and more, it’s looking like a fluke that genuine talented winners like Kelly Clarkson, Ruben, Fantasia, and Carrie Underwood actually won their seasons. Oh well. If there is any justice, any hope, it’s that both David and Melinda established themselves in the public eye as genuine talented vocalists. There may not be room in the music industry for this kind of talent, but perseverance will win out, and they will prevail. I’m just hoping, at the least, for a potential duet between the two! 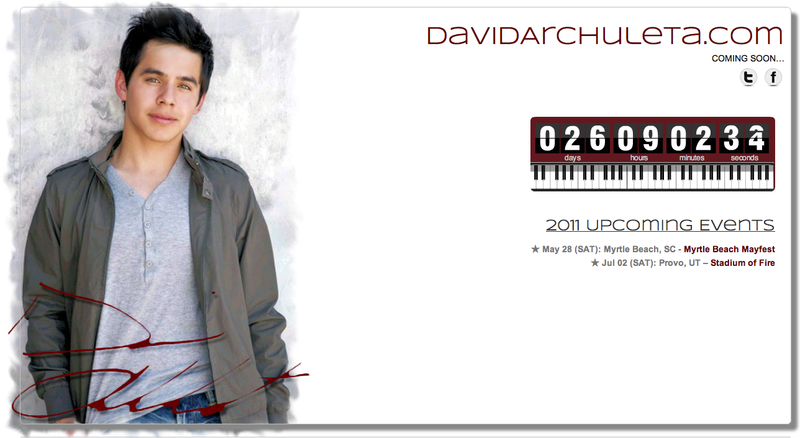 Two years ago, I made a decision, as a devoted Archie who was a regular participant on blogs like Noting David, Just David, and David Chronicles, to launch a blog that would focus on what I called the “soul music dimensions” of David, or what I used to call “Beyond Disney Versions of David Archuleta.” I thought a few fans would appreciate different kinds of conversations about David, and slowly but surely, I built a following. Not long after its inception, I dared to break the silence in the Archuniverse and invited open discussion about the scandal revolving around #manincap, and from then on, there was no turning back. Soul David took on a life of its own, and its been peopled by some equally feisty and deep-thinking Archies (and then some!). This year featured another milestone: I reached triple the number of views I usually get in one day – ironically the same day when the blogosphere rocked with the news that David was “dropped” by Jive, to which I rejoiced by celebrating David’s freedom. It’s been a steady climb ever since. In two years, so many things would change. In two years, we watched David produce not 1 but 3 albums and author a best-selling memoir. We delighted in his songs, videos of his live performances, live streams, etc, and we deconstructed his many tweets. In two years’ time, we watched David evolve from Idol to Jive to post-Jive, and we speculated ad infinitum. In two years’ time, Soul David has patiently addressed everything from David’s looks to David’s thoughts to David’s musicality to David’s religion to David’s love life (or lack thereof). Finally, in two years’ time, we’re getting a glimpse of the “Soul David” I always knew was there but was struggling to emerge post-Idol and post-Jive. In two years’ time, blogging for SD as HG has expanded my life in virtuality and kept me connected to an equally virtual community that feels very real. So, I thank you all for taking this special journey with me, and here’s hoping I can keep this blog going. Could it be that David’s new website will be run by (gasp!) professionals? The “countdown” look has captured David’s essence far better than Jive ever could! So, as I’m driving home from visiting family for the Easter weekend, I’ve got my stereo blasting in my car, zipping through the New York thruway, and bopping my head to The Voice. “Other Side of Down” and “Look Around” are particularly adrenalin-pushing, and three times, I had to really slow down from my 85+ speed when passing by state troopers. What can I say? David lets me loose (as ironic as that might sound). And yet, despite the feel-good feel of his last album (TOSOD really didn’t get its due), this past week really showcases how we still ain’t heard nothing yet from The Voice. Indeed, was David holding back on us these past 3 years? Yep, that’s the Soul David I’ve been waiting for. Who has been all underground on us, post-“Shop Around” with a slight surfacing come “And So It Goes” and a few versions of “Angels” and “Apologize.” Let me tell ya, dear readers, I’m all hot and bothered by what musical directions David is considering. I mean, he seems so free of late. Musically free! Can’t wait to hear The New Voice, which is itching for a performance and possibly also for a studio. With this countdown to a new website in less than a month, will there be a whole new musical journey to go with it? 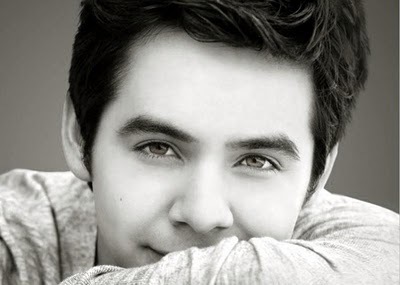 I suspect there is another side of David he’s itching to reveal to us in this post-Idol, post-Jive era.